This year's Hall of Fame ballot is one of the most controversial ever. No living player is being inducted into the hallowed Hall for the first time since 1960. The players tainted in the steroid scandals over the years have all been overlooked in the voting process. Even greats like McGwire and Bonds have not found a place in the Hall of Fame this year. Everyone opinionates on the Steroid Era regardless of the fact that the allegations haven't all been proved, and whether it is fair to the players who are affected by the scandal. The steroid scandal may be a bit overblown, and can hurt players who have had a long and sparkling career. Some players who deserve to be in the Hall of fame include Barry Bonds, Jeff Bagwell, Craig Biggio, Tim Raines, Roger Clemens, and Mike Piazza. These names come naturally when talking about the ballot for the Hall of Fame inductees. Raines has suffered from victimization by the era where he played. He is the second greatest leadoff hitter in the history of baseball, with only a tiny flaw that the greatest leadoff hitter, Rickey Henderson, also played during the same time. 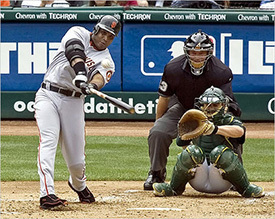 Bonds is arguably the best position player of the present generation of baseball. Imagining a Hall of Fame missing him and other players like Jim Rice and Andre Dawson seems like a joke. 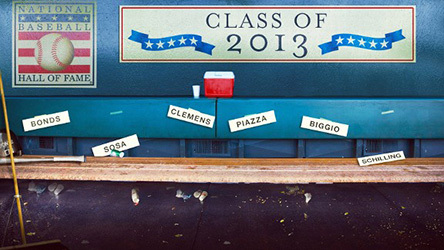 Clemens is one of the greatest pitchers of all times. He has a staggering 7 Cy Awards to his name, the highest for any player in history. He is also eligible for the Hall according to old school criteria with 54 wins and 4,672 strikeouts. Biggio had a somewhat dimming end to his career, and isn't in the limelight as much as one would expect. 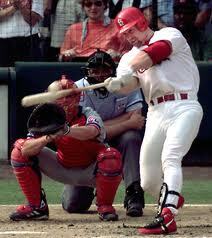 The 1999 season saw him hitting .294/.86/.457 and a 5.3 Fangraphs WAR. He never quite managed the same feat again in his career, though he still produced some productive seasons later on. He is also part of the 3000 hit club, which generally means a guaranteed place in the Hall of Fame. Piazza is arguably the best offensive catcher in the history of the game. He faced a lot of rebuke for his defense, but he more than made up for that during his playing years with the bat. Similar to Biggio, he battled against injuries, and catchers usually do not age gracefully. During the period from 1993-2002, he managed absurd offensive stats for his position. He had an average of 35 home runs every year during that period and had a hit over .359. The lowest on base percentage for him during this period was .359, and the lowest he slugged was at .541. This year's ceremony will not be seeing any living players, and the crowd attendance is also expected to take a hit. The right or wrong of the matter is still in debate, but depriving greats like the ones discussed here from the Hall of Fame can be a bad thing.